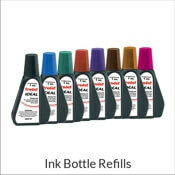 Trodat /Ideal Ink 2 oz Bottle Details Extra high quality ink designed specifically for Ideal Self-Inkers. 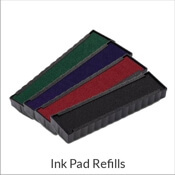 Simply pull the pad from the back of the Ideal Stamp and place a few drops of ink in the pipes. 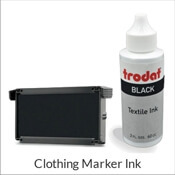 For stamp models without re-inking pipes, just spread a thin layer of ink on the surface of the pad. Allow the ink plenty of time to soak into the foam before using the stamp. 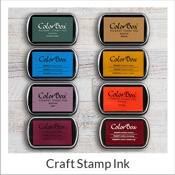 Ideal ink can be used in the following brand stamps: Ideal, Trodat, Green Line, Cosco, 2000plus, Maxum, and Shiny. 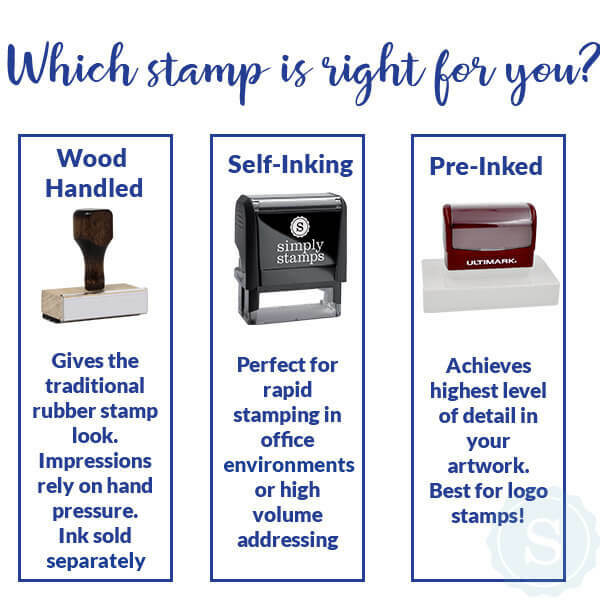 Do not use Ideal ink in the following brand stamps: Ultimark, XStamper, MaxLight, or Bates.